In a region that’s almost as famous for its car culture as it is for Hollywood, there has been a huge change in how people get around Los Angeles… and it’s great news for cruise passengers. 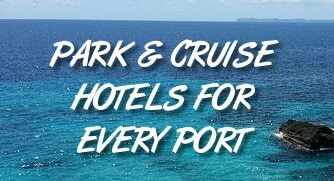 Years ago, you option to getting to the port was to catch a taxi or schedule a private car. Today you can use a rideshare service, namely, Uber and Lyft. If you’re not familiar with these companies, the premise is simple. Drivers are everyday people, driving their personal automobiles (cars have to be in good condition and relatively new). Riders use an app on their smartphone to call for a ride, make the payment, and rate their driver. Drivers love it because it allows them to earn extra cash on their own schedule. Riders love it because it is faster to catch a ride (literally thousands of drivers are in LA) and much cheaper than a traditional cab. Both Uber and Lyft are available throughout southern California. That means no matter where you are, you can catch a ride. You can be dropped off at any area airport using these services. If you are flying into LAX or Orange County (John Wayne Airport), then you can also be picked up at the airport. Ontario and Long Beach airports don’t allow rideshare pickups at this time (July 2016). Keep in mind that the fares listed above are for one car, not per person. If traveling with a group, the cost per person is even lower. Going from San Diego to the San Pedro Terminal will be pricey. The estimated fare look to be about $170. When disembarking at the World Cruise Port, is there a specific place to wait after you’ve placed your Uber/Lyft order?